PESHAWAR, Pakistan — At least 25 people were killed and 70 injured when a blast hit a market in a tribal region of Pakistan on Sunday, government officials said. The blast took place in a market in Parachinar city, the capital of the sectarian-plagued Kurram tribal region. The top government official in the region told NBC News that the blast took place in a market known for selling second-hand woolen items. "Twenty-five people have so far lost their lives, while 70 others suffered injuries in the devastating explosion," Amjad Ali Khan said. "Around 23 injured had been airlifted to Peshawar for advanced treatment." 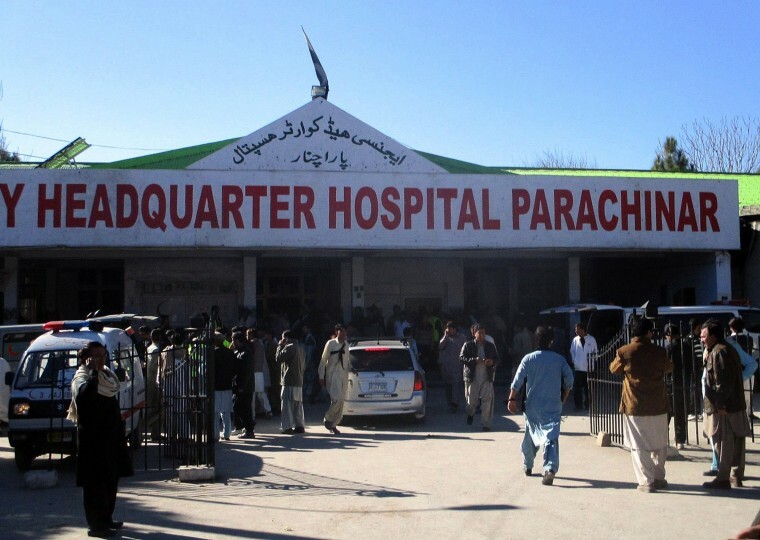 Parachinar is located near the Afghan border and ‎has suffered heavy losses due to sectarian violence between Sunni and Shia Muslims. However, Sunday's attack was the first sectarian violence in the region for months. No militant group has immediately claimed responsibility for the blast.